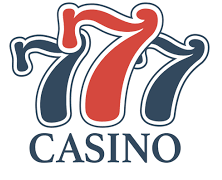 Casino 777 is a modern online gambling venue which is the online version of Casino de Spa - one of the oldest land-based gambling venues in the world. It was founded in 2012 under the regulation of the Belgian Gaming Commission. The website looks both simple and convenient, providing its customers with nice navigation. There are 4 language options available: English, French, German, and Dutch. Casino 777 is an official sponsor of Sporting Charleroi. If you decide to play at Casino 777 while on the go, you won’t face any problems. The online gambling venue is fully compatible with modern mobile gadgets, so you can play your favorite games right on your smartphone or tablet. The customer support here is available via all the standard options: live chat, email, and phone. You can reach the agents around the clock and can be sure that they will eagerly answer your questions. Other reputable gambling portals such as The Pogg, CasinoMeister, and HolyMolyCasinos tested the support and found the operators to be polite and helpful. The variety of banking options at Casino 777 is average. You can make a deposit using PayPal, Skrill, Neteller, credit cards, and several other options. The withdrawals are possible only via Neteller, Bank Transfer Express, and Skrill. The Casino 777 withdrawal time is up to 48 hours. The maximum withdrawal limit is outstanding - €25,000 per week or €100,000 per month. Live games are also available at Casino 777. There are heaps of Blackjack and Roulette titles as well as Dream Catcher, Baccarat, Hold’em, Three Card Poker, Caribbean Stud Poker, and Drago Tiger. The Casino 777 no deposit bonus is 25 Free Spins and €100. You’ll randomly receive a bonus which varies from €5 to €100. This promotion is available only to players who reside in Benelux and Germany. As for the Casino 777 welcome bonus, it’s either a 100% match up to €777 (which comes with 30xB wagering requirements) or Live Casino cashback (if you lose your deposit, you can recoup the losses with €10). In both cases, you’ll receive 50 free spins. You don’t need to use a Casino 777 bonus code to claim the new player offer. You can participate in the casino’s Money Vault promotion where you can win €25,000. Each time you deposit €25 you earn yourself an extra chance to unlock the Money Vault. If, for example, you deposit €75 you’ll get 3 chances at once. The rules are simple: there is a code which consists of 7 numbers (from 0 to 9); you’re supposed to guess the correct combination of numbers and get your prize. There have already been 3 lucky guys who won €25,000. You’ll be offered to conjecture the right combination automatically, so you don’t need to enter any Casino 777 promo codes. Casino 777 is a cool online gambling venue which appears to be almost flawless. You can play an extensive library of games which includes about 700 titles from top-notch software developers. The live games section is pretty well covered here, so you can enjoy games with the live dealers of different varieties. The customer agents are ready to help you 24/7 via email, live chat, and phone. And the welcome bonus comes with pretty fair wagering requirements - 30xB. We don’t see any reasons for not recommending you Casino 777.